As the world watches, Ebola continues to spread throughout West African nations and now, even to America. One survivor is warning the world that there is only a narrow timeframe for this disease to be defeated before it spreads out of control and moves around the world. This survivor is a British nurse named Will Pooley. 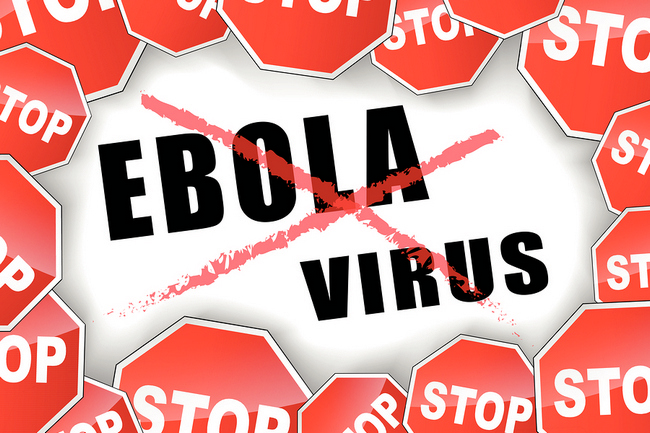 Mr. Pooley contracted this deadly virus while working on a relief mission in Sierra Leone. He spoke to an international summit recently and said that the world must avoid the horror and misery of this disease at all costs. He also described, in terrible detail, about how he personally watched children die horrible deaths. Mr. Pooley, obviously upset and sometimes very emotionally, told the story of two young siblings, a brother and sister about 4 and 2 years of age, that he personally cared for. He described the conditions there as “squalid” and told how the young boy died in pain, lying naked in a bed filled with his own diarrhea. He described the younger sister as a beautiful girl who died one day after her brother, covered in her own blood. Mr. Pooley, 29, said at the conference that the horror and misery of these deaths cannot be accurately described and that he could not imagine this scenario played out thousands, or perhaps millions, of times all over the world. “At all costs, we cannot let this happen” he said. His emotional plea to those attending the conference came as 34 NGO’s ( non-governmental organizations) joined this fight and sent out a plea to the world at large, telling them that the global community has only 4 weeks, or less, to stop this deadly virus from spreading and becoming uncontrollable. Officials at the International Rescue Committee backed a six point plant that would counter the infection rates that are growing and they presented this plan at the conference. The number of Ebola cases is doubling about every three weeks, the IRC told the council, a frightening statistic coming on the heels of an announcement made by the World Health Organization a few days earlier that the Ebola death toll had surpassed 3,000 victims in West African countries. The Save the Children organization stated that there were about 5 people becoming infected with Ebola every hour of the day. The longer this outbreak continues to infect people, the better the chances are that it will mutate, become stronger, and eventually become an airborne virus. The thought that this virus could become an airborne contaminant, as easily caught as the common cold is a nightmare scenario! The Secretary General’s Special Representative, Anthony Banbury, has told Britain’s newspaper Telegraph that the world was now in a race against time to stop this disease before it mutates and becomes an even larger problem. As of this writing, there are 4 types of Ebola that can infect humans, this according to the CDC. The longer this virus keeps moving about inside human hosts in the virulent melting pot that West Africa has become, the much better its chances for mutation. This is an extremely scary scenario that simply cannot be ruled out. Again, friends, if you haven’t already done so, prepare for the worst. If this virus should be contained then all is well and good, but should it continue to spread as it has in the past, doubling the number of victims every three weeks, then by January it could very well reach 1 million dead. The old saying “Better safe than sorry” certainly applies here. Stock up on your antivirals, eat healthy and get your rest to keep your immune system strong, and be prepared for a possible quarantine by stocking up on food, water, gas, batteries, and necessary prescriptions.